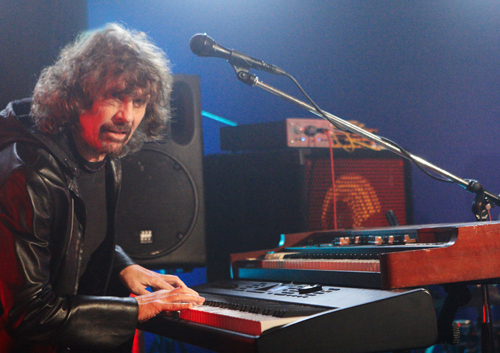 It’s the time of the season for the annual SXSW Music Festival in Austin, Texas, and the Zombies will be among the scores of musicians in attendance. 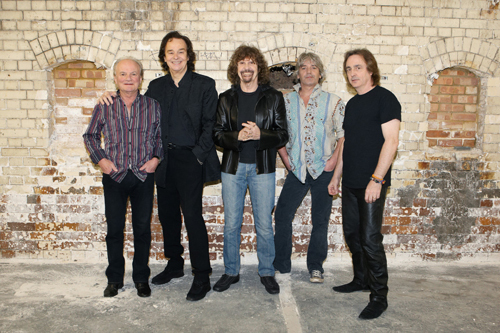 The legendary British band, fronted by original members Rod Argent (keyboards/vocals) and Colin Blunstone (lead vocals), are slated to play songs from their current studio album, Breathe Out, Breathe In, alongside some of their most familiar (“She’s Not There,” “Tell Her No”) and fabled (1968’s Odessey and Oracle LP) material. Truth be told the Zombies are in demand now more than ever, consistently selling out venues around the world — a new live album, Extended Versions, featuring performances recorded last year on tour, was just released — and making vibrant, uniquely soulful music. 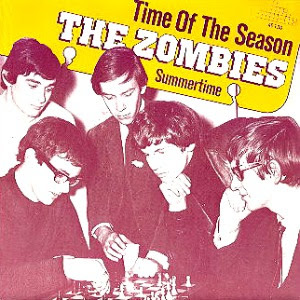 Considering you and Mr. Blunstone are the only original members of the band in the present lineup, was there any effort to make Breathe Out, Breathe In reflect the music the band made in the ‘60s, so listeners could draw some parallel in recognizing the music as that of the Zombies? In the sense that we deliberately tried to record very much using some of the same criteria that we always naturally used in the early days… We tried to use a lot of those same criteria not because we wanted to try and recapture something that was gone. That came out of the fact that in 2008 we did the only live performance we’d ever done of Odessey and Oracle from start to finish. We got the original surviving members of the Zombies — Colin, myself, [bassist] Chris White, and Hugh Grundy on drums — along with the guys that always work with us now, because if we were going to do it we wanted to reproduce every single note that was on the original album. And [it was] the only way of doing that, because there were some overdubs; it was the first time we were using seven or eight tracks instead of the four that we’d had before. And we made a live album from that. That experience, it just felt so nice doing it that when we made this new studio album we put some of those parameters in place. Coming out of performing that whole album after many years I said to Colin, “Let’s really explore the harmony side of things like we always used to.” It felt so nice going back to that. So we really tried to be adventurous and explore the harmony arrangements in the songs. And I guess that was what we did naturally in the old days anyway. So those factors were in place. I deliberately, apart from one track, didn’t overdub anything so we could do everything on stage live that we did on the Breathe Out, Breathe In album. We can reproduce all that because there aren’t overdubs, basically, apart from one track, “Shine on Sunshine.” Those factors were common to the way we used to record, but that’s the only thing. We didn’t at any time try to say, “How did we used to record this? Let’s try to recapture it. Let’s try and go back and recreate something.” That was never on the cards. It was always trying to take a musical idea and then just making it work for us. So there was never a moment in the sessions where you asked someone, for instance, to play like Chris White. No. Never. I’ll tell you something that a lot of people don’t know, and that is that a lot of those bass parts on early Zombies records… When I wrote “She’s Not There,” for instance, and when I wrote “Care of Cell 44,” those bass parts were absolutely written as part of the song. It wasn’t something invented by Chris or improvised on the session. They were parts written by me. And on this album we actually did some of that again. I would write a bass part, not to say that Jim [Rodford] wouldn’t take that and personalize it a bit, but basically it was written very much as part of the song. That was a factor that we had in common with the early records, too. 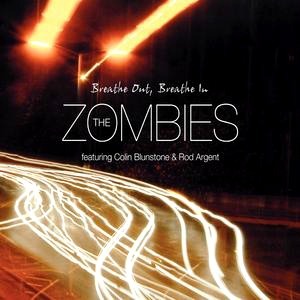 When you’re writing a song for the Zombies and you know Mr. Blunstone is going to sing it, do you tailor it toward his voice? Or does he adapt to suit the song? There’s a bit of both, actually. I’m sure Colin would agree with me. First of all, when I write a song — and I did this right from the early days, too, because I learned to write songs with Colin singing them, really — I always have Colin’s voice in mind. It’s not something I think of consciously every second, but as I’m writing a song for the Zombies I imagine him singing it. Now, it doesn’t always work out perfectly because sometimes the things that you’d imagine would be absolutely ideal for Colin he would find very difficult, or another time something I’d find tricky he’d find easy. It’s not something you can absolutely quantify, but at the same time that is in my head, in my imagination, all the time. Without even thinking about it, it’s there. When you wrote “Time of the Season” — particularly the line, “What’s your name? Who’s your daddy? Is he rich like me?” — did you catch any flak for it sounding subversive? All modesty aside to what do you attribute the enduring popularity of the Zombies? I think there are a couple of factors. The first factor is that when we first started working and recording we were genuinely enthusiastic about it and excited about it. We never did it just to try to sell… Obviously we did want to sell records. We wanted to sell as many records as we could. But we didn’t just say, “We’ll do anything that makes a record sell.” We always took a musical idea that excited us and just tried to make it work in the best way that it sounded to us. So, sometimes in the short term I think we did ourselves a disservice from a purely commercial point of view because rather than try and write absolutely in the fashion of whatever was going on…. In the short term that made our records a bit unusual, made it hard to get them played sometimes, and maybe they didn’t sell as many as some other people who were more overtly commercial. In the long term I think it actually worked for us because even though those records sound of their period I think many people feel that they still stand up today and don’t date in such a way that people don’t want to hear anymore because they just sound like something from the ‘60s and nothing else. And similarly I think we’re approaching things in exactly the same way now. We’re doing it from a point of view of complete enthusiasm…. I think the thing is we’re just honest and we’re doing it for the right reasons. Coupled with that, we do want to give as good an account of ourselves as possible both on every live show and on every single that we do. We do work at it. As you get older I think you can even improve your chops, but you have to work at it. When you’re eighteen years old there are some things you can do and it feels very easy. When you get older you can let that go and it’s very difficult to recover it. But if you’re prepared to continue to work at it you can keep very strong chops.